Yesterday's weather was literally what dreams are made of! Not too hot. Not too cold. Just right. P.S. I've said it before and I'll say it again, bring on the printed shorts! I love a good weather day, for some reason it all looks better on a good day. the first photo is stunning! lovely shorts and bag ! This is one of my favorite looks of yours lately! The photos with the sunlight are gorgeous and I agree, printed shorts are so fun! Love these shorts... I wonder if they are still in stores! It's gonna be a little warmer today in DC for sure, but not enough for shorts like that. Too bad, those are adorable and I have some silk shorts that I am dying to wear in the Spring and Summer. The shorts are ADORABLE, but I am particularly smitten with those boots!! Love them! And today, I didn't wear mittens or a hat. ;) Just my wool coat & boots... ugh. xo! I love those shorts. Not only the pattern but the scalloped edges! Also, I've been dying for those booties. awwww....scalloped edges + star shorts, so fun! Those shorts are just all kinds of awesome - seriously love those! omgosh i love this very patriotic outfit haha your star shorts are ADORBS!!! you look so beautiful nicole! those shorts are so much fun, and I am drooling over that Celine clutch...such a gorgeous colour! Thanks so much for your comment, would you like to follow each other? such a cute look! i love the jacket...it looks so light and comfy! LOVE those printed shorts! You look so cute, I love the red cream and navy look for spring/summer! And of course that Celine clutch is fab! You look beautiful. I love your sunnies and those adorable shorts. Love the shorts and red clutch - so cute and fun! oh mah gah - those star shorts... amazing!! Gaga for the clutch! 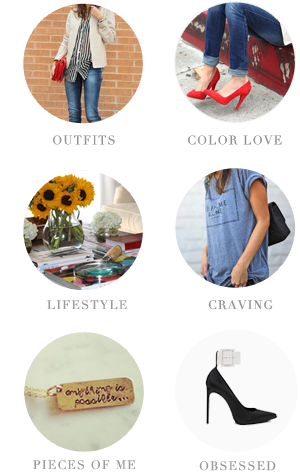 Love the creativity you bring to your choices, your posts are always so fun to look at! Those star shorts had me at hello! <3 <3 <3 them! You look amaze as always! Wants the shorts!! So cute on you. Love the outfit head to toe, Nicole. Oh, how cute those starie shorts looks on You, but I sooo love your Rag&Bone booties. Gorgeous!